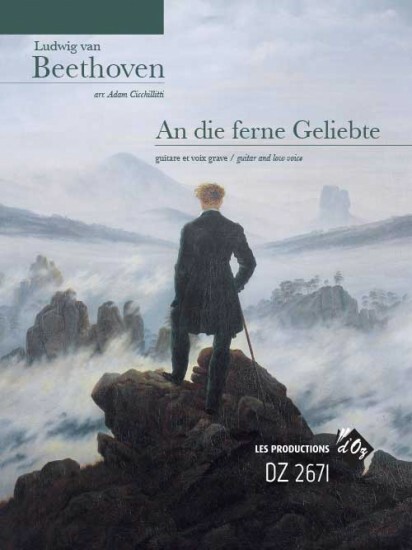 It’s been 200 years since the beginning of the beloved Liederkreis genre, and its creation lies not in the hands of Schubert, Schumann or Wolf through whom the genre gained much of its esteem and posterity, rather Beethoven’s intimate An die ferne Geliebte for voice and piano set the stage as early as 1816; as Leslie Orrey describes it, “in the world of Lieder, Beethoven rather than Schubert was the pioneer”. Each song from the cycle of six poems by Alois Jeitteles flows into the next through carefully conceived key relationships that adhere to the text on a number of levels. 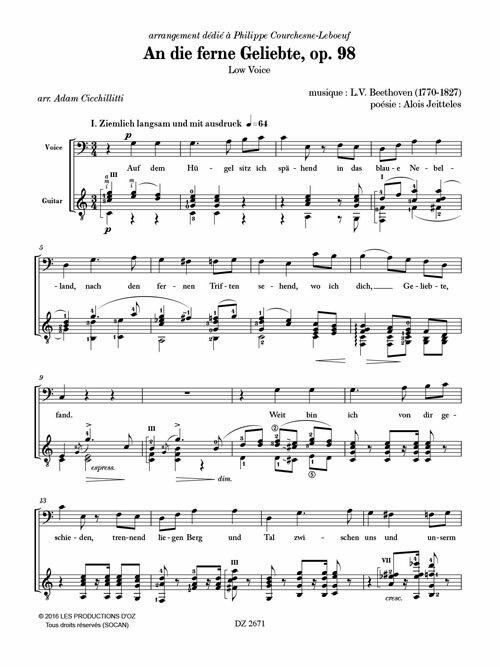 Because of this, it is difficult to conceive of each song as a stand-alone unit, a strong contrast to songs from cycles such as Winterreise, Dichterliebe and the Mörike Songs. Many authors, such as Sylvia Bowden, have elaborated on the autobiographical nature that the musical setting of the poetry in An die ferne Geliebte seemingly allude to, a distant beloved with whom Beethoven may never know a physical bond; rather their spirits shall be united eternally through the cyclical nature of the music. Beethoven’s inability to know true love and his quest for it throughout his life are well-documented. It is easy for people from our world of social media and the internet to imagine how difficult it would have been for two people to communicate if we consider the fact that Beethoven lived in a time without electricity, telephones or automobiles. Though there has been some speculation as to who was Beethoven’s immortal beloved, we will most likely never know for sure. The project to arrange An die ferne Geliebte for guitar came to me when I was studying for my master’s degree at the University of Ottawa. I had decided to join a seminar on the chamber music of Beethoven. Beethoven never wrote any music for guitar but I had already arranged several Schubert lieder and decided to explore Beethoven’s vocal works as well. During my research I found a recording of Beethoven’s song cycle performed by Gerald Moore and Dietrich Fischer-Dieskau and I was instantly seduced. I have since performed the piece in twenty cities on the Canadian east coast with my friend, baritone Philippe Courchesne-Leboeuf, to whom I have dedicated this arrangement. I would like to thank all those that have helped me or facilitated the process of arrangement of this wonderful work: Virginie Abat-Roy, Frédéric Lacroix, Philippe Courchesne-Leboeuf, Donna Brown, Lawrence Ewashko and Michael McMahon and les Jeunesses Musicales Canada.